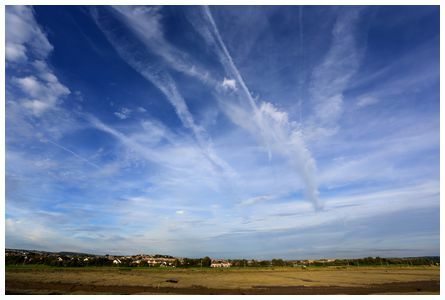 Vapour trails from at least eight passing aircraft are shown at various stages of decay. 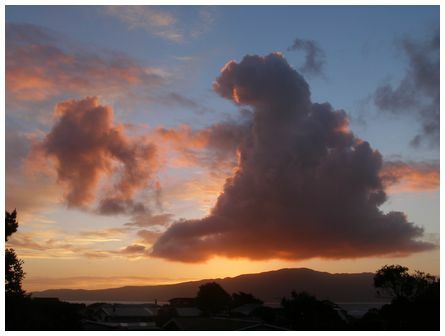 The photograph was taken at Llanelli, South Wales at 19:03 BST on 28 August 2013. The photograph was taken looking towards the east. London's Heathrow Airport is approximately 250 kms east of Llanelli. Taken on a Canon 5D with an EF17-40mm lens set at 17mm, f10, 1/200sec. 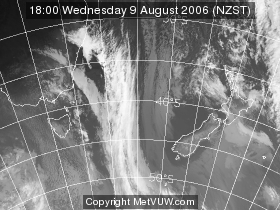 GPS location 51°40'12.0"N 4°10'22.8"W.
Fiona wrote 'alien approaching over Mt Cook! 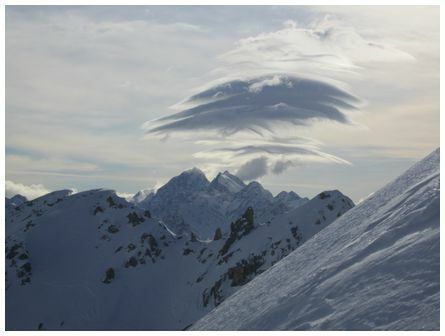 This cloud looks like an alien space craft coming in right over the top of Mt Cook. 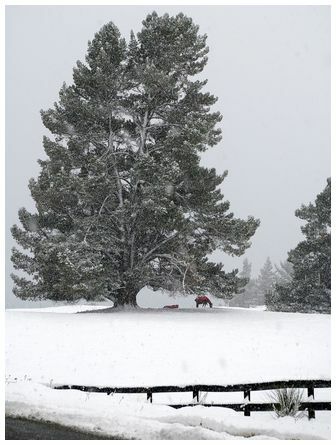 Taken from near the Hermitage Hotel, Mt Cook on 21 July 2013. Camera Canon EOS 6D. F/8, 1/2656s, ISO 200, EF24-105mm lens. 'I went out on Friday night, 23 August 2013 on the hunt for aurora australis, hoping to 'set shop' on the shores of Lake Ellesmere but encoutered some fog. 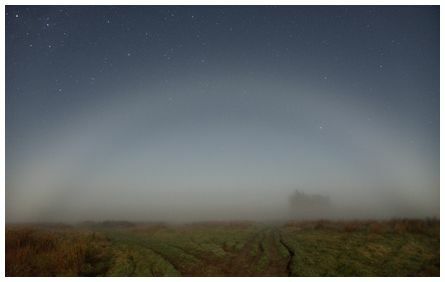 The Moon was just beginning to rise and created a series of bright fogbows with the successive waves of fog. So no auroras that night, but at least I didn't come back empty-handed. Taken at 22:00, camera Nikon D800e, 24-120mm set a 24mm and F4.5, 10s at 4000ISO' wrote Ben. 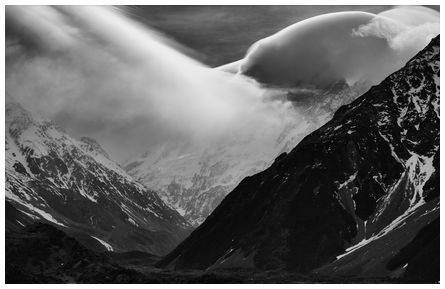 'Classic Hogsback clouds over Malte Brun, photo taken at 08:56 on 24 August 2013 looking NE from the Sealy range above the Mueller glacier. Camera Canon isus I30' wrote Paul. 'Morning flight over countryside near Bovington, UK at 09:15 on Saturday 1 December 2012. Taken from about 2500ft using an iPhone. 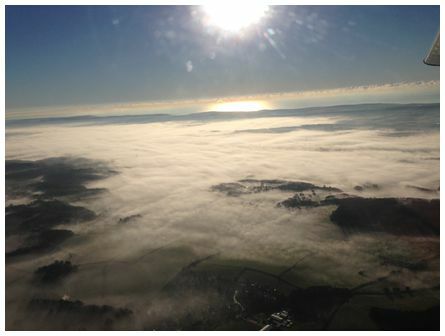 Photo shows the morning mist along the Piddle Valley being burnt off in the early morning sunshine. England's South Coast is visible in the distance' wrote Mike.